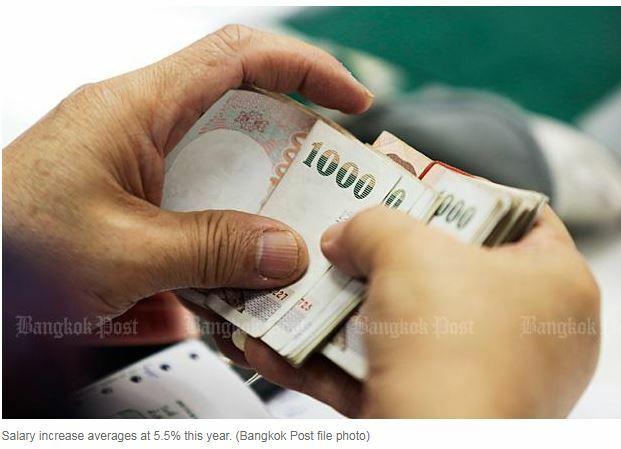 Employees in Thailand will enjoy salary increases averaging 5.5% in 2019, the same as the previous year, according to a forecast by Korn Ferry. In the Korn Ferry 2019 Global Salary Forecast, Thailand is ranked fifth out of 100 countries in terms of real salary growth forecast (adjusted for inflation) — tied with Azerbaijan — at 3.9%. The only countries ranked higher are Ukraine (5.9%), Turkey (5.5%), India (5.0%) and Vietnam (4.8%). As a region, Asia is expected to see the highest real salary growth globally, with an expected inflation-adjusted real salary increase at 2.6%, but down from 2.8% last year. That compares with 2.0% for Eastern Europe, 0.7% for Western Europe, 1.3% for Latin America, 0.9% for Africa, 0.6% for North America, 0.4% for the Middle East and 0.3% for the Pacific region. The Thai economy last year expanded at its strongest pace since 2012 with GDP growth estimated at 4.5%, resulting in a low unemployment rate of 0.9%. While GDP growth this year is forecast to ease to 4.3%, Korn Ferry predicts that salary increases will remain at 5.5%. However, rising inflation (1.6%) will drive real salary growth down to 3.9%, from 4.5% in 2018. 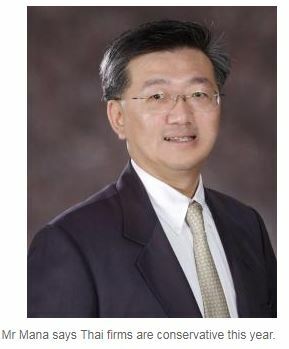 “The flat-line salary increase can be attributed to lower forecast GDP growth,” said Mana Lohatepanont, managing director of Korn Ferry Thailand. “Local businesses are adopting a more conservative stance for 2019, with the looming signs of global economic slowdown, impact of a potential trade war, rising interest rates and the upcoming general election. The Korn Ferry forecast draws on its pay database which contains data for more than 20 million job holders in 25,000 organisations across more than 110 countries. Its experts recommend taking a holistic approach when determining pay. “While inflation indices are a solid benchmark for reviewing market trends in pay, we recommend that companies take a broader perspective by defining and agreeing upon their own measures of cost drivers, business strategy and local trading conditions,” said Benjamin Frost, Korn Ferry’s global general manager for pay.